Bathroom Remodel on a Budget | TruHome Inc.
It’s where you get ready in the morning, take a shower after working out, and bathe your kids before bedtime. Bathrooms are an important part of your home. Whether you’re looking to spend the next 30 years in your house or plan on selling it, an outdated bathroom can be a big turn-off. 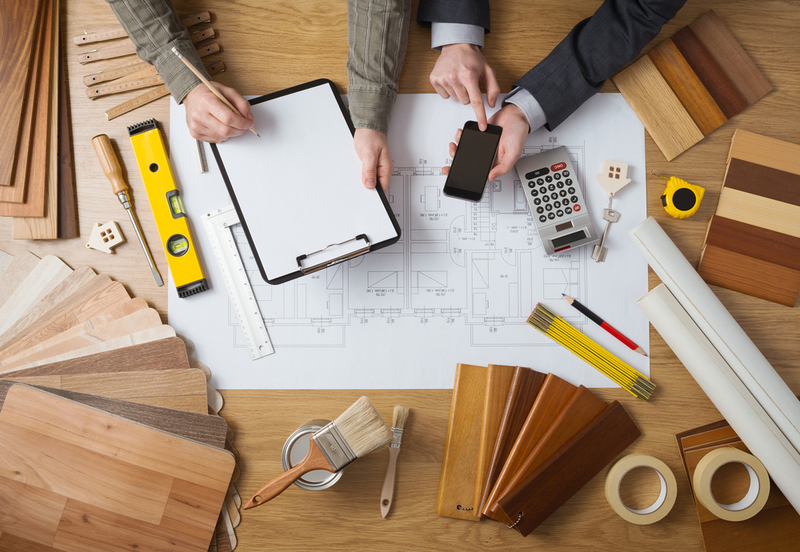 But even if you want to remodel your bathroom, the cost may be preventing you from doing so. 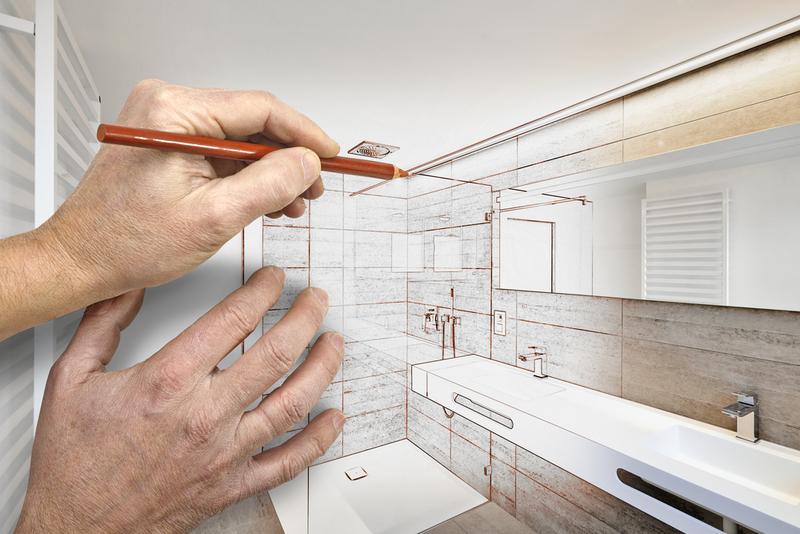 The average mid-size bathroom remodel can cost between $18,000-$25,000. If you choose to sell your home in the future, you will only get about 66% of that cost back in the resale value. Follow these cost saving tips as you update your bathroom to add big value to your home while staying within a not-so-big budget. Tile is a popular option for bathrooms, with its visual appeal, easy upkeep, and easy-to-clean properties. But installing tile can be costly—especially if you hire a contractor to lay it out for you. Situations can get even more complicated if you need to tear up old tile, which may have asbestos, in order to put new tile in. Try limiting your tile to just one section of your bathroom (maybe just in the shower vs on the shower and the floor). You can also explore newer alternatives to tile, like vinyl tiles, luxury laminate, ceramilite, stainless steel sheets, and waterproof wall panels for the shower. Sometimes all your bathroom needs is a new color on the walls to make the old feel new again. 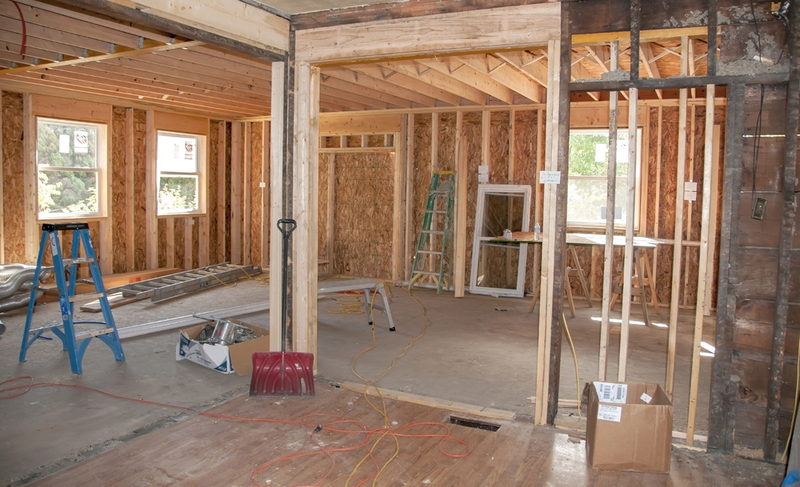 Since it’s usually one of the smaller rooms in the house, the investment here is smaller than with other parts of a bathroom remodel. It’s important to note that even though you’re looking to save money, don’t pick up the cheapest paint in the store for this task. Since bathrooms can accumulate mold and mildew, you want to purchase a paint specifically recommended for bathrooms that is mold-resistant. Another easy and quick way to freshen up your bathroom is to change out light fixtures, knobs, towel racks, sink faucets, shower head, and drawer pulls. Such a small change can greatly improve the look of your bathroom. Don’t limit yourself to just home décor stores for these updates. Search around estate sales, yard sales, resale stores, or hardware stores to find great deals or to mix and match pieces for a more eclectic look. No need to buy new vanities, toilets, countertops, or light fixtures brand new for the costly price tag and ding to the budget. You can buy used, like new, or new-in-box big ticket items for a fraction of the cost at places like Goodwill, Habitat for Humanity ReStore, or Etsy. When you purchase these bigger items at a fraction of the cost, they may not be perfect, but then you have the option to customize them to your exact needs. Want a teal vanity with vintage drawer pulls but can’t find it anywhere? Purchase a used vanity and refurbish it with the paint and hardware you desire and save money while getting exactly what you want! Another option you have is to redo what you already have in your bathroom. 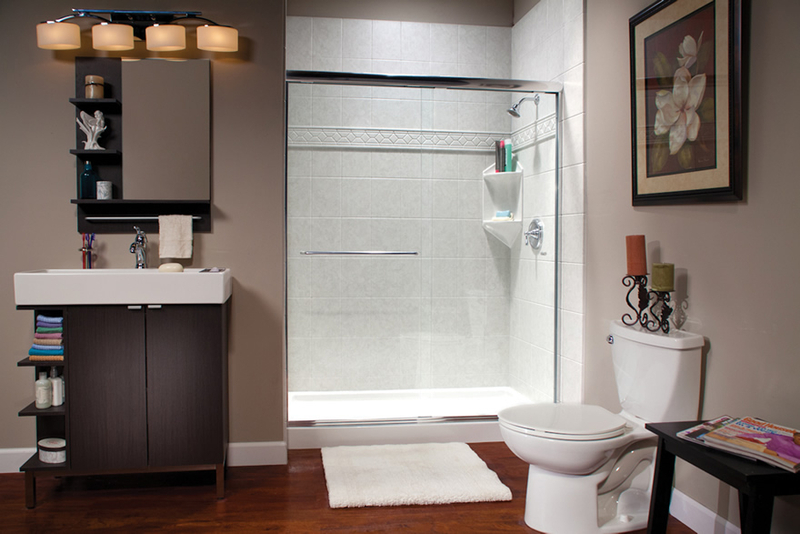 Instead of replacing your shower or tub, have it professionally relined for big savings while adding value. Simply switch out faucets instead of purchasing new sinks. Refinish your existing vanity by adding fresh paint or stain. Just like old, peeling paint, aged caulk and grout can make a bathroom look dirty and outdated. At first glance you may think you need to invest big bucks into new tile, flooring, or shower/tub insert. However, by simply cleaning and filling in the grout, along with adding fresh caulking around the tub and sink can make your bathroom sparkle for only a few dollars. Updating your bathroom doesn’t have to break the bank. By following any or all of these tips, you will be well on your way to saving money while increasing your home’s value and deepening your love for one of the most used rooms in the house. 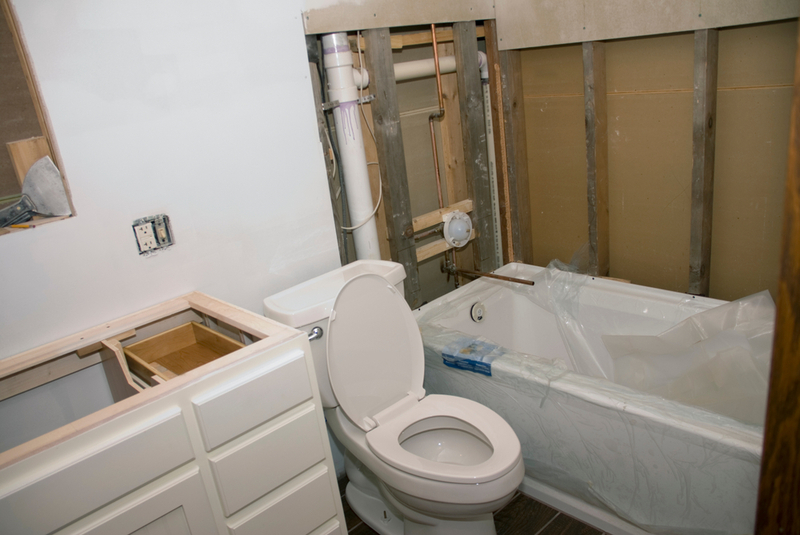 Not sure you want a DIY bathroom remodel? TruHome is here to help.